In September 02013 futurist Peter Schwartz spoke for Long Now about realistic scenarios for human interstellar travel. Peter, a founding Long Now Board member, participated in “The 100-year Starship” project and contributed to the book Starship Century (Edited by Gregory Benford and James Benford) with scientists and science fiction authors positing realistic ways humanity could voyage beyond our Solar System. Our September Seminar About Long-term Thinking (SALT) “flashbacks” highlight Space-themed talks, as we lead up to Ariel Waldman’s The Future of Human Space Flight at The Interval, September 30th, 02014. Video of the 12 most recent Seminars is free for all to view. The Starships ARE Coming is a recent SALT talk, free for public viewing until September 02014. Listen to SALT audio free on our Seminar pages and via podcast. Long Now members can see all Seminar videos in HD. Standard-physics travel will require extremely long voyages, much longer than a human lifetime. Schwartz suggested four options. Generational ships: whole mini-societies commit to voyages that only their descendants will complete. Relativistic ships: at near the speed of light, time compresses, so that travelers may experience only 10 years while 100 years pass back on Earth. Download ships: “Suppose we learn how to copy human consciousness into some machine-like device. 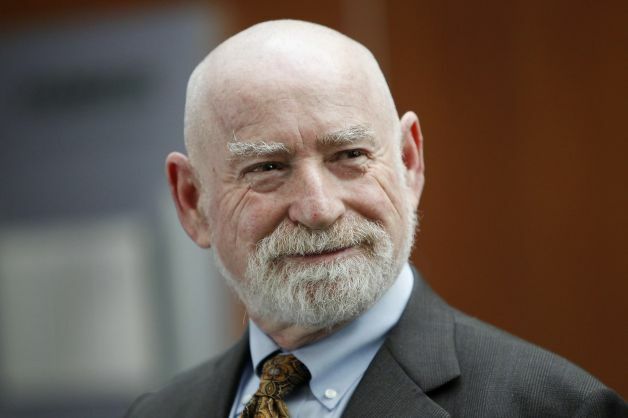 Peter Schwartz is a futurist, scenario planning expert, and author of The Art of the Long View. Currently he serves as Senior Vice President for Global Government Relations and Strategic Planning at Salesforce.com. In 01988 Peter co-founded Global Business Network and served as their chairman until 02011. He is a co-founding Board Member of The Long Now Foundation and has spoken in our SALT series on four occasions. The Seminars About Long-term Thinking series began in 02003 and is presented each month live in San Francisco. It is curated and hosted by Long Now’s President Stewart Brand. Seminar audio is available to all via podcast. Everyone can watch full video of the last 12 Long Now Seminars (including this Seminar video until late June 02014). Long Now members can watch the full ten years of Seminars in HD. Membership levels start at $8/month and include lots of benefits. You can join Long Now here.